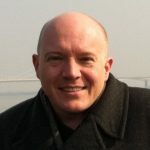 Mark Freeman is Reader in Education and Social History in the Department of Education, Practice and Society, UCL Institute of Education, University College London. He worked for many years at the University of Glasgow, and has also held research posts at the Universities of York and Hull, and the Institute of Historical Research. His research interests include the history of British adult education and youth organisations, and he has published on these themes in History of Education, English Historical Review, Quaker Studies and many other journals. He was the convenor of the HES annual conference in 2011. He is a Fellow of the Royal Historical Society, and is currently a co-investigator on a large AHRC-funded project entitled ‘The Redress of the Past: Historical Pageants in Britain 1905-2016’..